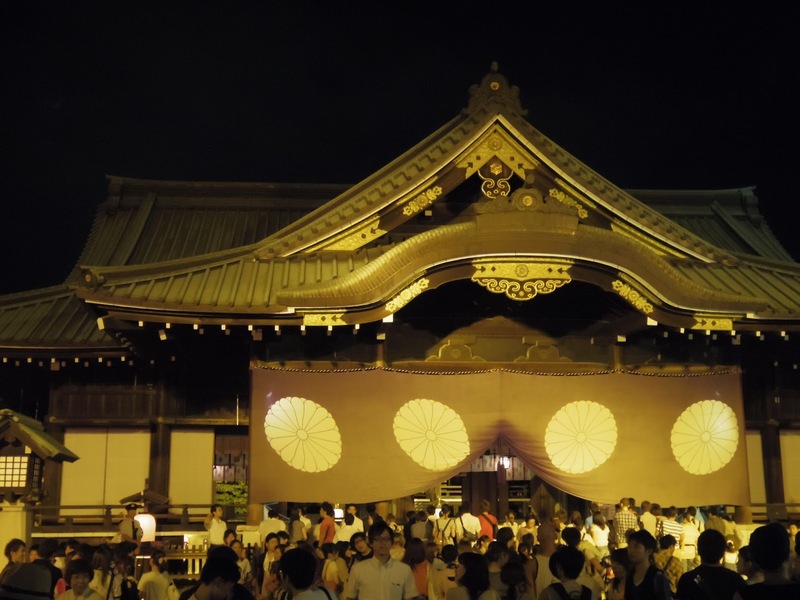 Not only did I not know about this festival, but I’d never been to this shrine before. It was surprisingly close by so I’m glad I got to go this year. My friend and I went during the day. 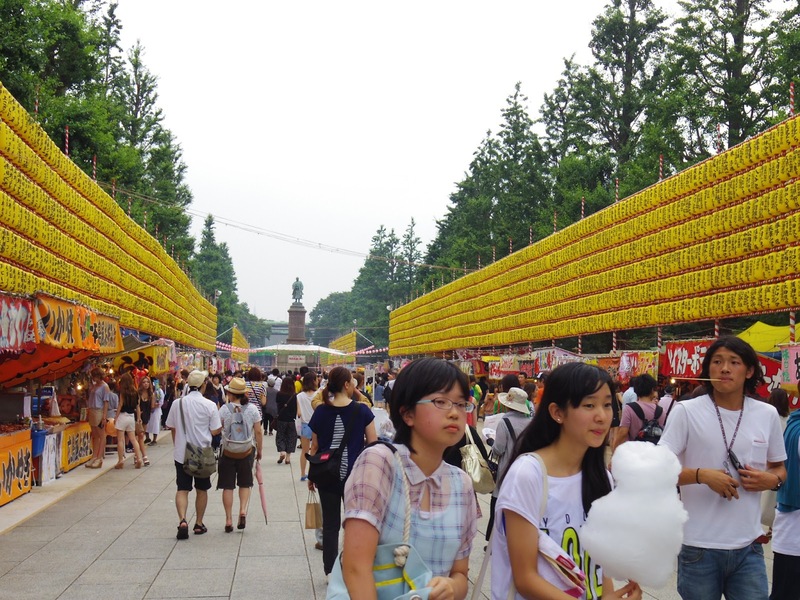 There were thousands of lanterns all around the walkway and inside the shrine grounds, tons of food stalls selling everything from baked potatoes to cotton candy, and even more people there to enjoy the festivities! 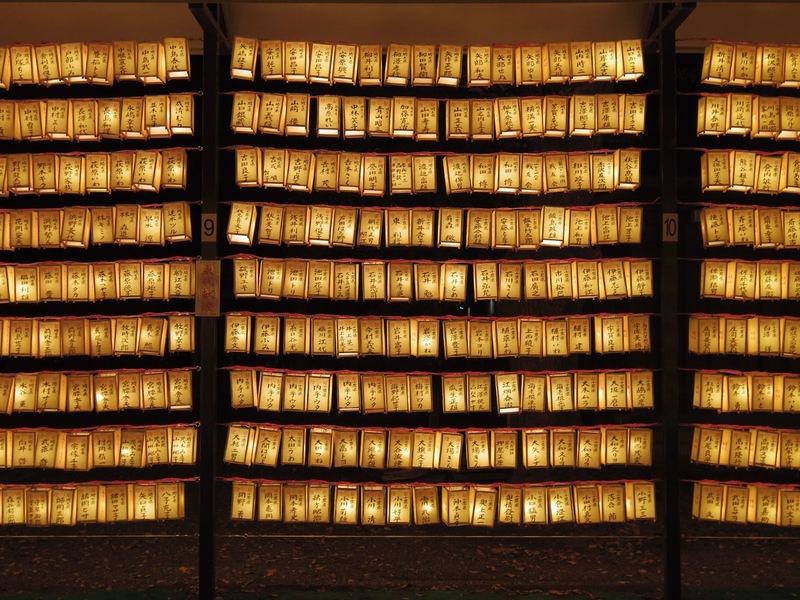 There were over 30,000 lanterns on the shrine grounds. These were the big lanterns. 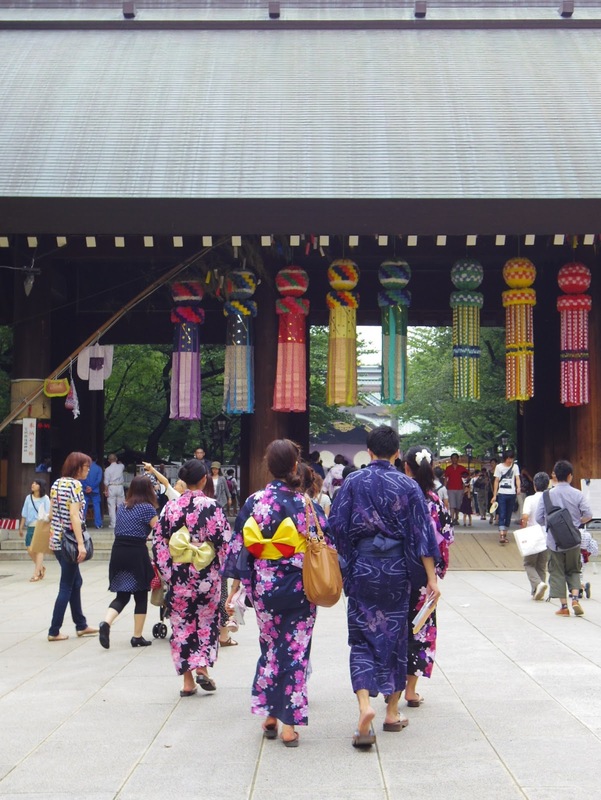 Many people in a yukata, walking towards the entrance of the main shrine. I’ve always wanted to work at a festival and wear the special miko (巫女) outfits! 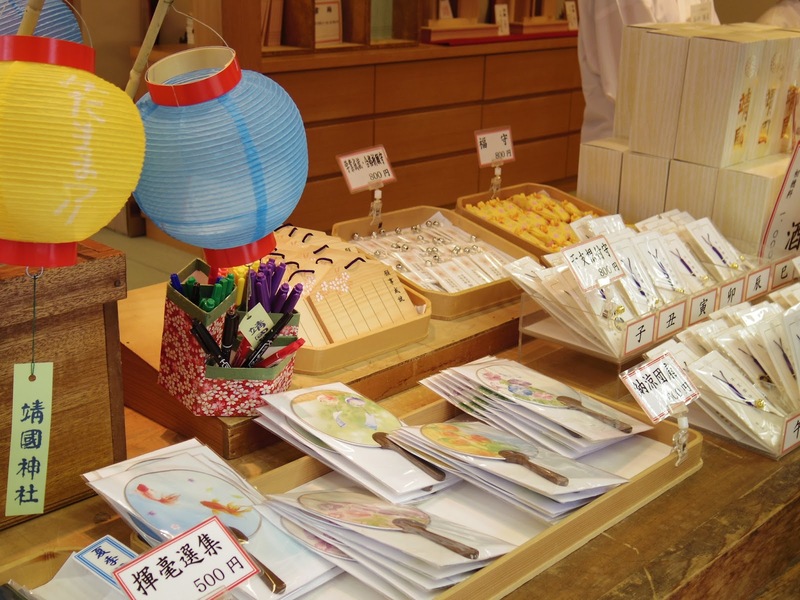 A shrine stall where you can buy different kinds of charms called an Omamori. 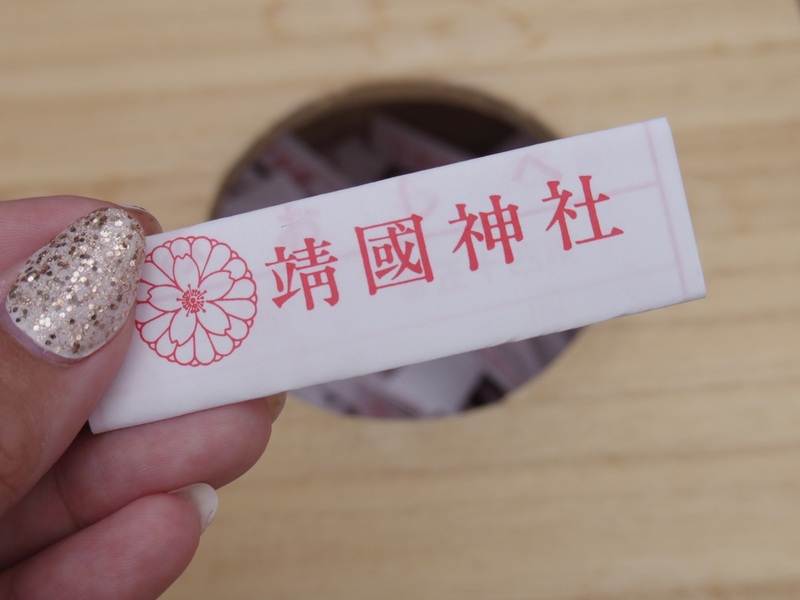 This paper is an Omikuji, which you pull from a box randomly and it tells you your fortune. 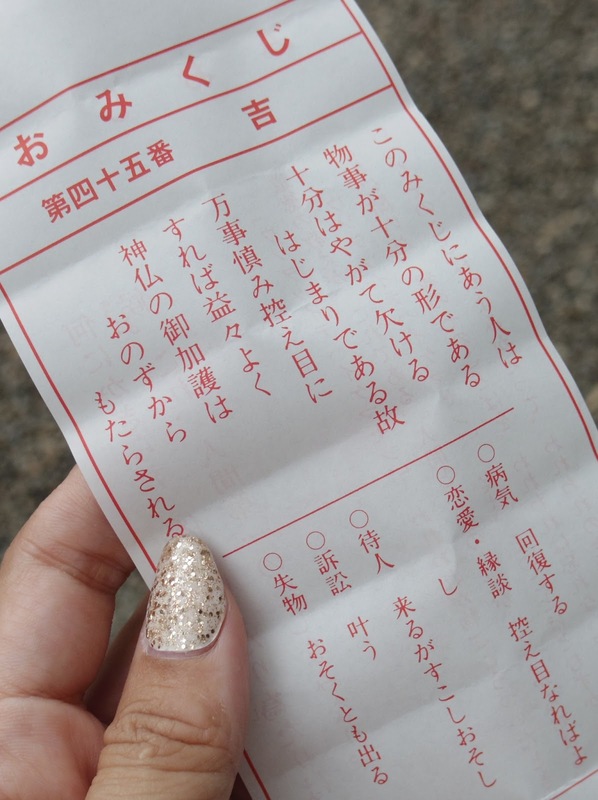 Mine said that if I stay humble, god will protect me from harm…good advice. 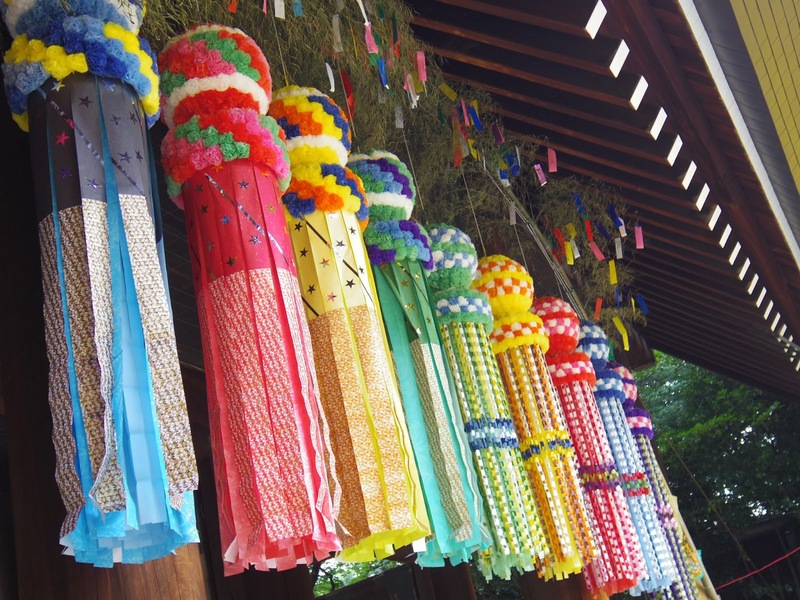 These were the smaller lanters inside the grounds of the main shrine. 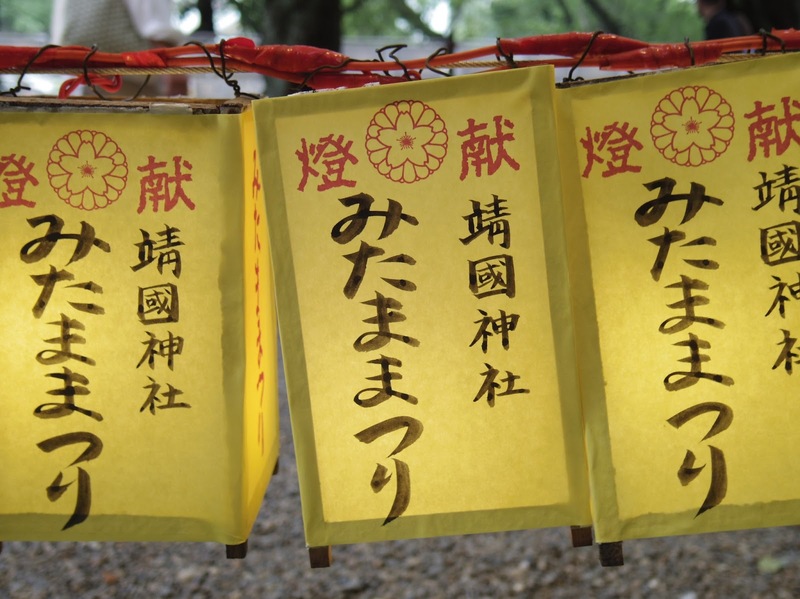 When you donate to the shrine, they write your name on the lantern. 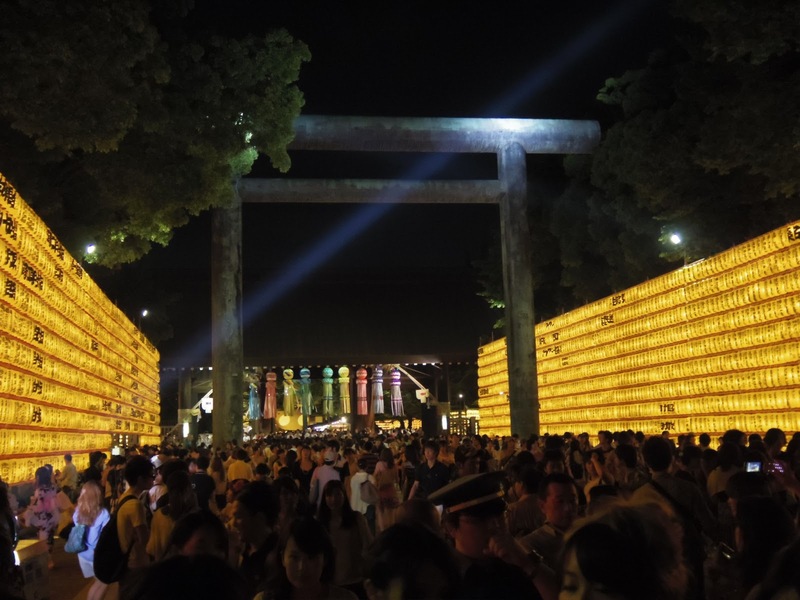 The festival reaches its peak at night. Lots of people were admiring the pretty lanterns. Rows and rows of lanterns…there were many people with cameras here. 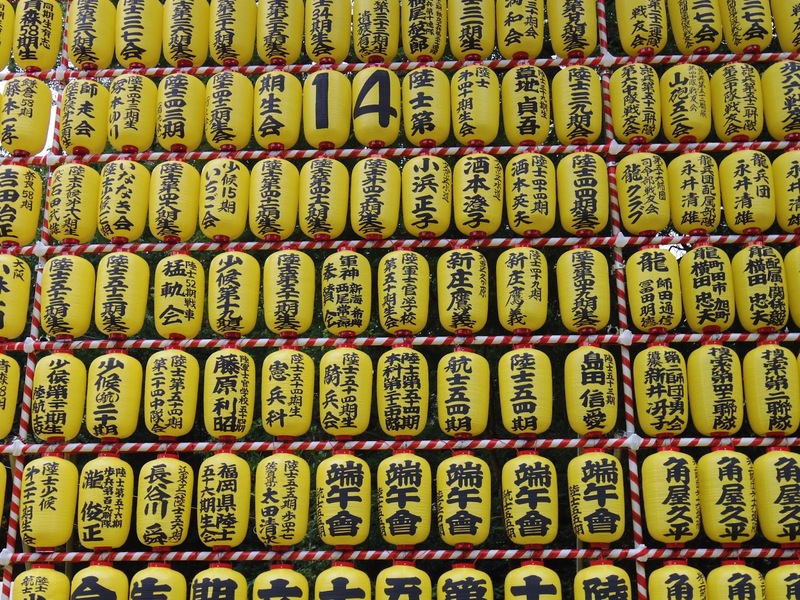 The main shrine where people offer their prayers and offerings. 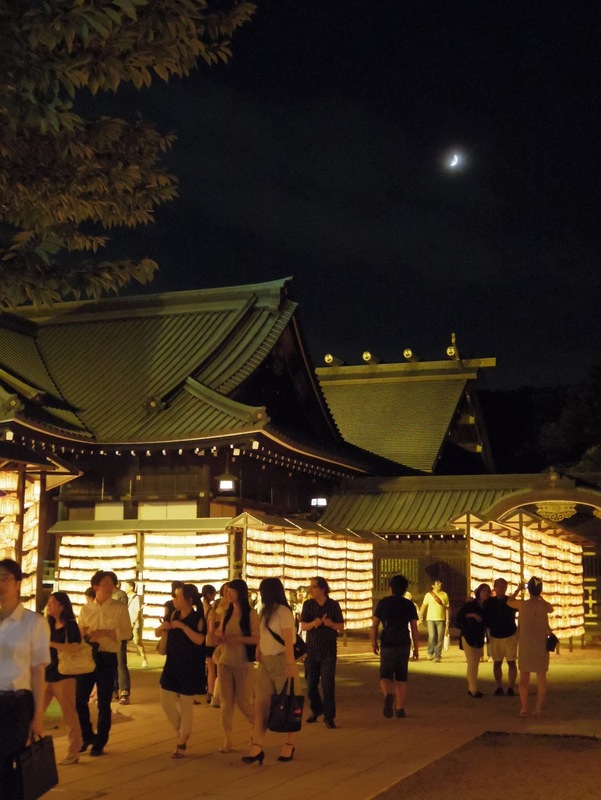 The moon was out this night above the shrine. 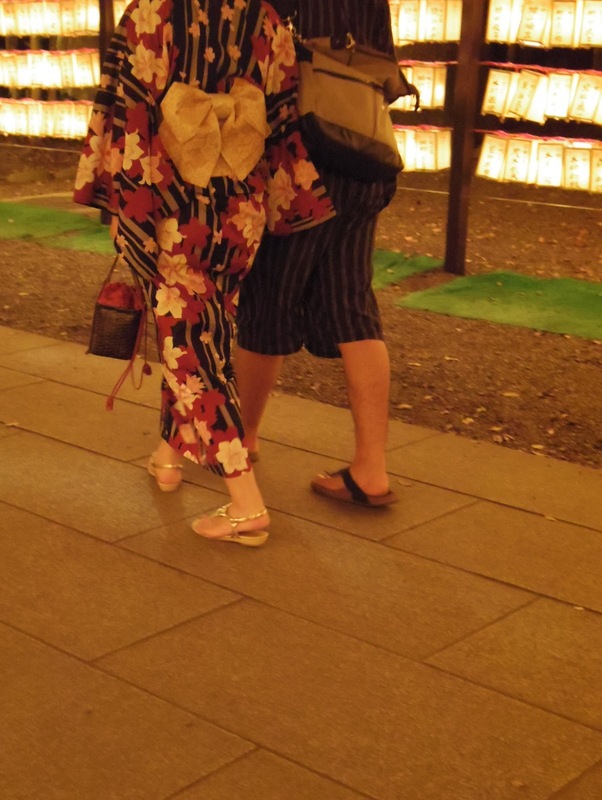 I loved how there were so many people in yukatas. 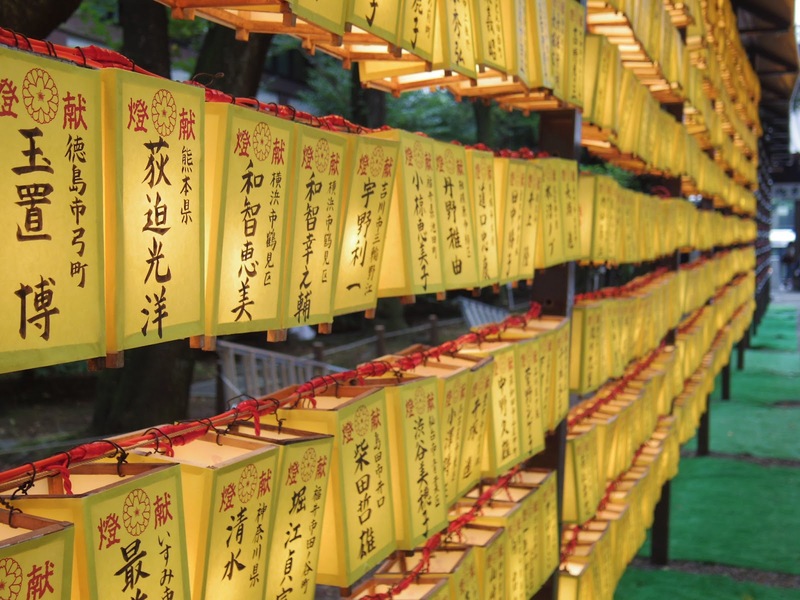 Like Rurousha, I liked the quiet parts of the shrine where the lanterns softly glow in the night. 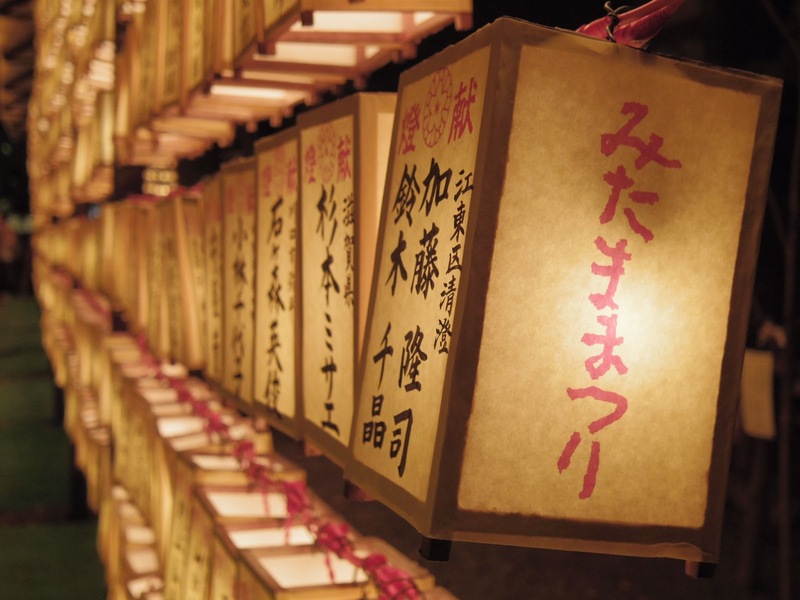 It was a lovely festival full of fun and gorgeous lanterns. I'm glad I bullied you into going (grin! 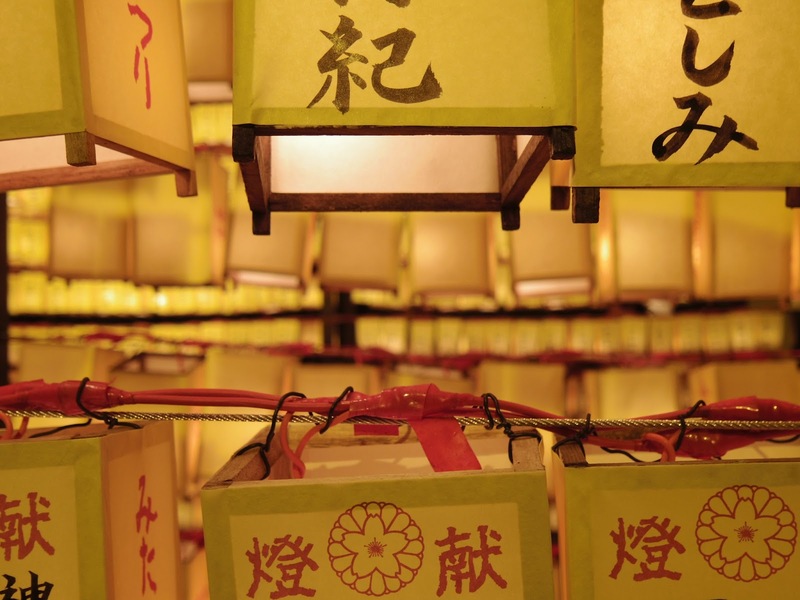 ), because I never get tired of looking at these lanterns, either in real life or in photos. 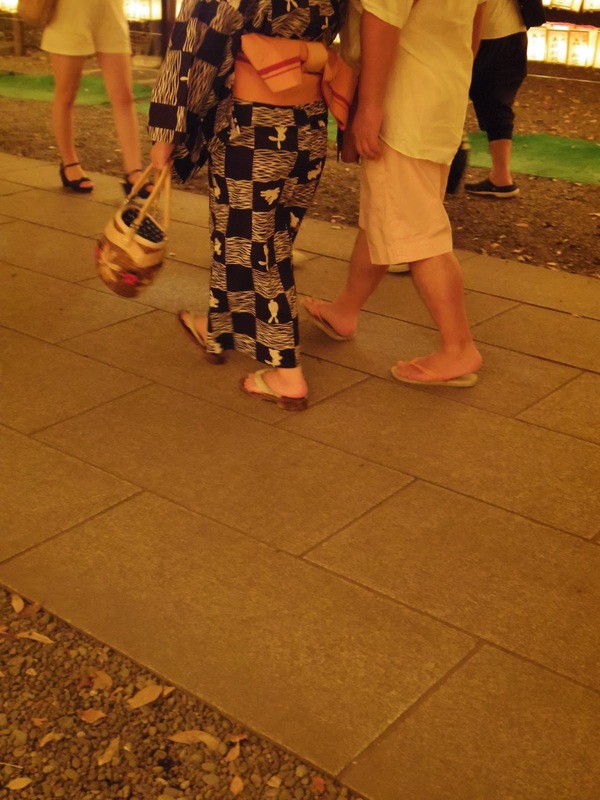 So next year you go again, but in a yukata? So glad you did! 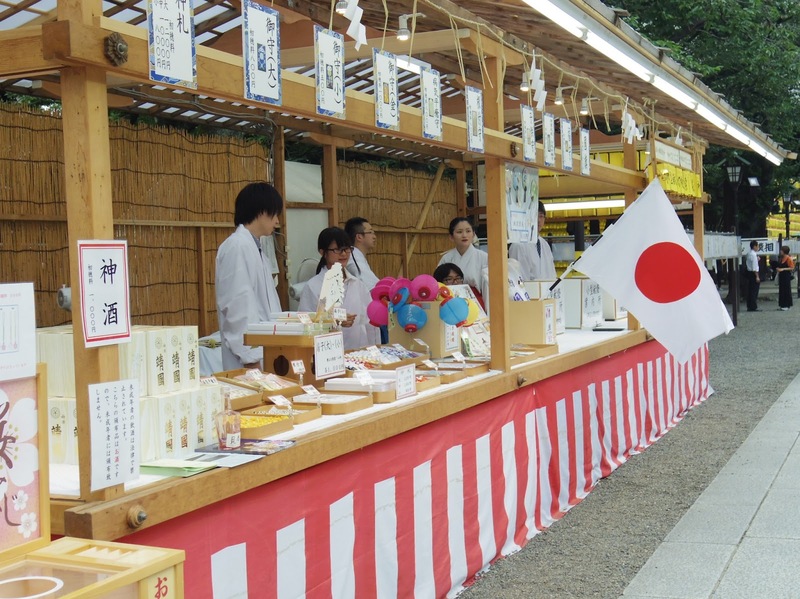 My absolute favorite festival in Tokyo has always been Kagurazaka Matsuri (it's next weekend!) but this one was gorgeous, too!